Fatima, Lourdes or just plain Pagan? There’s a war on in Ireland that doesn’t have a thing to do with water, language, Sectarian violence, or the long history of the Troubles. While all those other battles dominate the press, there is one that slips through the cracks, silently waging on throughout the years and it begs the question, whose rock is it anyway? In this instance I’m not talking about politics or Ireland as a whole, just one little corner of it. At the foot of Connemara National park, right on the edge of the Atlantic close to the town of Letterfrack, there’s a rather large mound. It may even be an island when the tide is high and covering the small stretch of mud that keeps it attached to the mainland. The N59 brings you directly past it but if you blink, you might miss it. Even if you don’t, you may pass it by with barely a glance, because the scenery is amazing and distracting. However, if that mound does grab your attention, it will be difficult to keep driving without pulling over to explore it first. Keep in mind – you do so at your own peril, since there’s no real parking and barely a shoulder to pull over on to. What you will find if you’re reckless enough to stop is a sprawling roadside altar, along with the battle scars leftover from trying to decide who the hill is dedicated to. At the end of the day, it all comes down to the Mother, but which aspect of her that this place honors is up for debate. In a land known for its sacred wells and roadside dedications, this one stands apart for a few reasons. First, there’s the seaside location. The mound is not easy to get to and if a local passes you by while you’re climbing over the safety railings along the highway to explore it, they will give you a long and intimidating look. 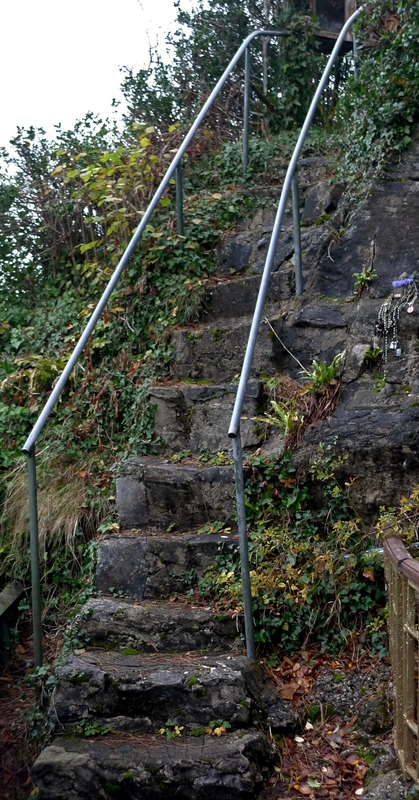 Then there’s the treacherous terrain – and even though people have installed handrails, benches, and stone steps along the side of the hill, they are now wobbly, incredibly steep, and slippery. Then there’s the surprising size of the shrine. The whole hill is covered with statues, rosaries, and religious icons of all sorts – there’s even one trapped within the mound itself. There are cross-shaped memorials on the top and the far side of the mound and at least one seemingly sacred pool. But all this still doesn’t answer the simple question. Who does this magical outdoor sanctuary actually belong to? 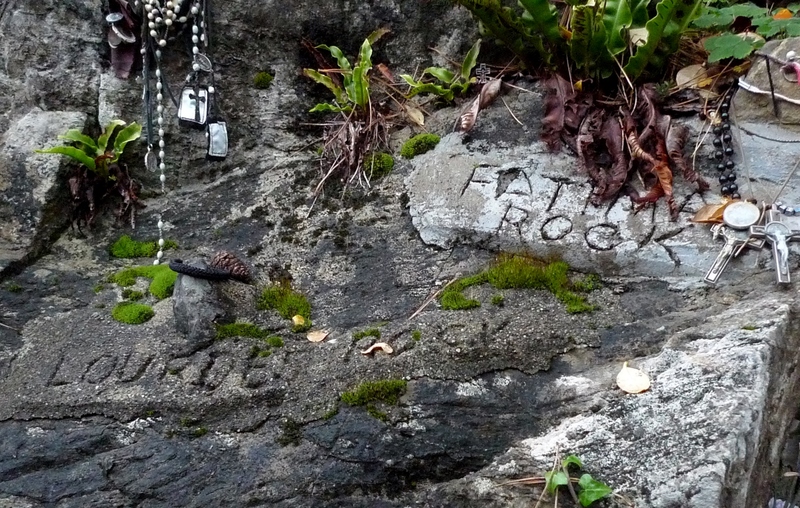 Some of the hill says ‘Lourde’s Rock’ while other parts declare that it belongs to Fatima. It has been officially dedicated to both (albeit separately) at least once if all the etchings and signs are true. Believers of a different sort have also etched the stones or marked the trees with pagan symbols and Ogham—the ancient language of the Druids—and some say the hill still belongs to the faeries, no matter how many crucifixes are left behind. There are no official road signs or markers to name or even acknowledge the open air altar or to settle the debate. Our Lady of Lourdes and Our Lady of Fatima are both alleged manifestations of the Virgin Mother Mary, so one could argue that it’s all the same anyway and the name doesn’t matter. What’s most intriguing about this place is that everywhere one name is, the other follows, and throughout the shrine there are older and far more pagan spots to discover as well. Since the Catholic church has been usurping magical spots and holidays for thousands of years, the takeover of this one is no surprise, but given the hundreds of candles, rosaries, statues, and mementos, you’d think that the faeries and the pagans would have surrendered the rock by now. However, after visiting I’d have to say that assumption is wrong. One thing is certain, there seems to be a distinct feminine energy to the place. That day I decided to settle on calling it Mother’s rock – since that title works whether you’re talking about mother Earth or Catholicism. 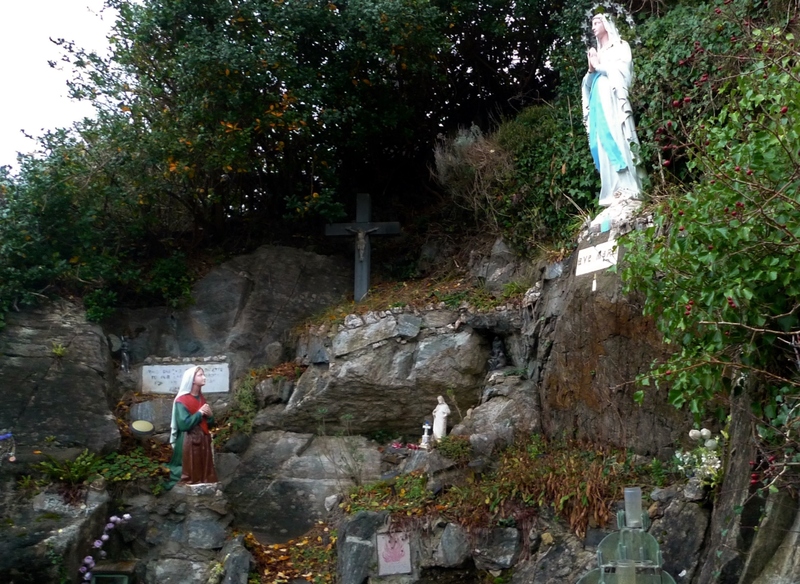 If you’re driving along the Irish coast, and a small yet massive, Catholic yet pagan little outcropping of land draws your eye, you can decide if that works for you too. Also, if this place intrigues you and you can find information on it, please send it my way. Despite spending a lot of time on the hunt, I have found very little trace of it since I returned to the states. 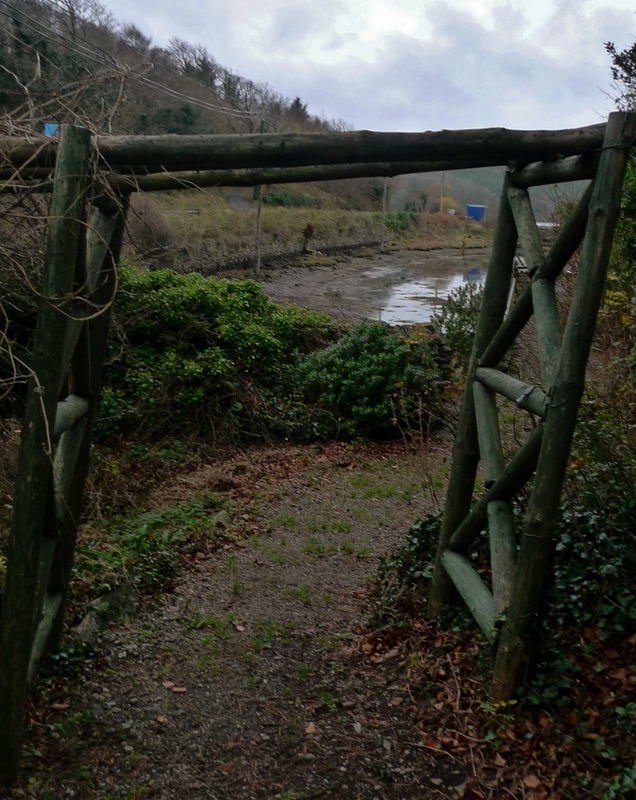 This entry was posted in Inspiration, Ireland, Photography, Religion, travel, writing and tagged adventures, catholicism, Connemara, County Galway, hidden Ireland, Ireland, Magical places, Pagan, Religion, Shrines, traveling. Reflagging this excellent piece on the Catholic Church vs. Fairy/Pagan battle.